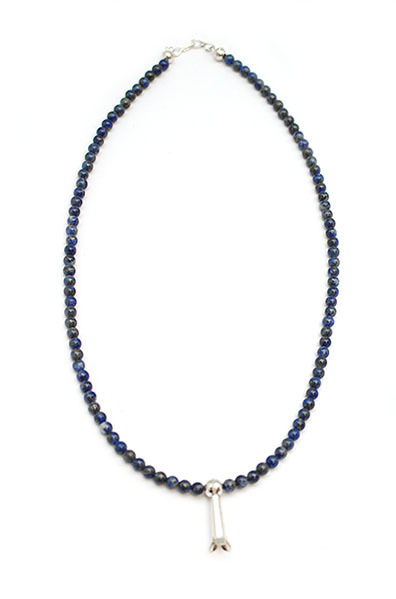 This necklace is strung with 4mm lapis beads with a small sterling silver blossom at the bottom and sterling silver findings. It measures approximately 16" long and is strung by Navajo artisan Sandra Francisco. Blossom measues approximately 7/8" long. Color shades of lapis beads will vary.